CHAMPAIGN, Ill. — When negative memories intrude, focusing on the contextual details of the incident rather than the emotional fallout could help minimize cognitive disruption and redirect the brain's resources to the task at hand, suggests a new study by psychologists at the University of Illinois. "Everyone has encountered something distressing either in the recent past or the remote past. 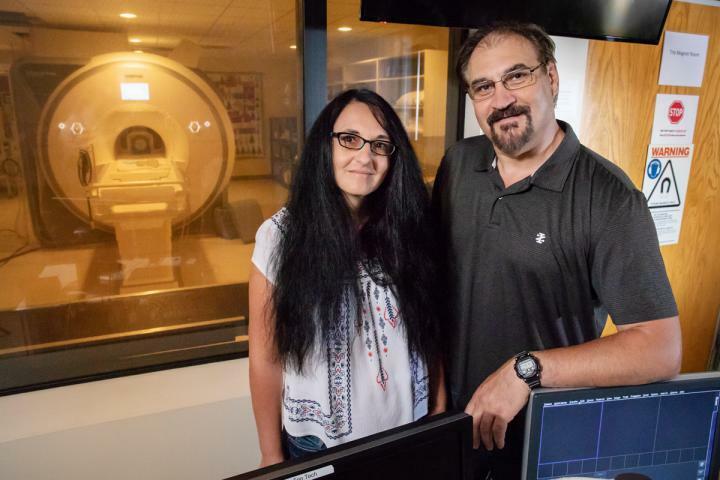 These memories can pop into our minds and distract from whatever we are doing," said study leader Florin Dolcos, a professor of psychology at Illinois. "Understanding what we can do to stay focused is important, not only for people in extreme cases where such memories can lead to difficulties in daily living – such as those with post-traumatic stress disorder, anxiety or depression – but for everyone." "When subjects focused on the emotional aspect of their memories – how they felt, including the physical sensations – their cognitive performance was lower relative to their control tasks," said Alexandru Iordan, the first author of the paper who recently graduated from Dolcos' group with a Ph.D. and is now at the University of Michigan. "But when they were focusing on the nonemotional, contextual aspects, then their working memory performance was not impacted. They had better task performance and less negative effects when focusing on context than when focusing on emotion." The University of Illinois funded this work. Florin and Sanda Dolcos are also affiliated with the Beckman Institute for Advanced Science and Technology at Illinois.